Phil heads up the LUEX surf team, specialising in trips to Indo and the Maldives, but as a matter of fact he has seen almost every region that we have on offer. He loves nothing better than to cruise around the Mentawais on a surf boat while sending frequent photos back to make the rest of us jealous. While his main love in life is the ocean, he can throw some mean shapes on a snowboard too. Surf in your backyard. Find budget surf camps right through to 6 star resorts and surf boats. Private waves right out the door or no crowds on a remote surf charter. So whenever you want to travel and whatever your budget, you can reach great waves, tropical waters and the beautiful Indian Ocean. Accessible for everyone! Dare to Discover Something New – Go East! Discover new alternatives to surf trips in Indonesia. Go on a boat trip beyond Bali and Mentawais to find truly uncrowded surf spots. 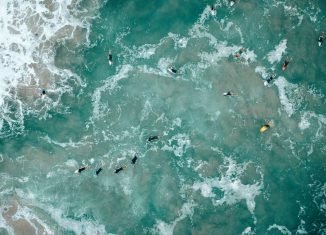 Short guide to surfing in Bali! Are you wondering if all the things you heard about Bali are true? It's magical, lively and full of great surf spots. If you want to know when to go to score - read on! Privatisation of Maldivian surf breaks brought down!? Breaking News: Open access to Maldives surf breaks? Ministry of tourism makes major change to resort boundary regulations; private waves set to be free to surf!